Terminalia arjuna (Arjuna) Supercritical Extract*. Been using this on my dogs elbow which had become very sore, I am very pleased with the results. The hair hasn't grown back but the redness has gone. Now giving it a good covering with the Neem oil salve which is helping to protect it. Bought to treat psoriasis on elbows together with the neem capsules. Psoriasis has been problematic for many years. Used for 12days so far. There was a slight improvement after 2 days and now there is a noticeable improvement in the skin with less scales and less itching. I'm hoping this continues. This is the nearest I've found to pure Neem oil. Neem oil needs to be mixed with a transitional oil to use on the skin and this is 'ready made'. Small tube but so very little is needed to sort out whatever skin conditions. Aroma a bit pungent but who cares as long as it does the job! Stopped my shingles itch and helped heal. I recently suffered shingles on my forehead and the burning itch that went with it drove me to distraction. Triple Neem Ointment gave me instant relief, stopped the itching and helped heal the spots. Finally a fabulous ointment that works on eczema. I bought this ointment to see if it would help with my eczema, as I do not use creams containing steroids. I have been having problems with eczema for a number of years, and various creams have soothed, but never completed the total healing of the skin. 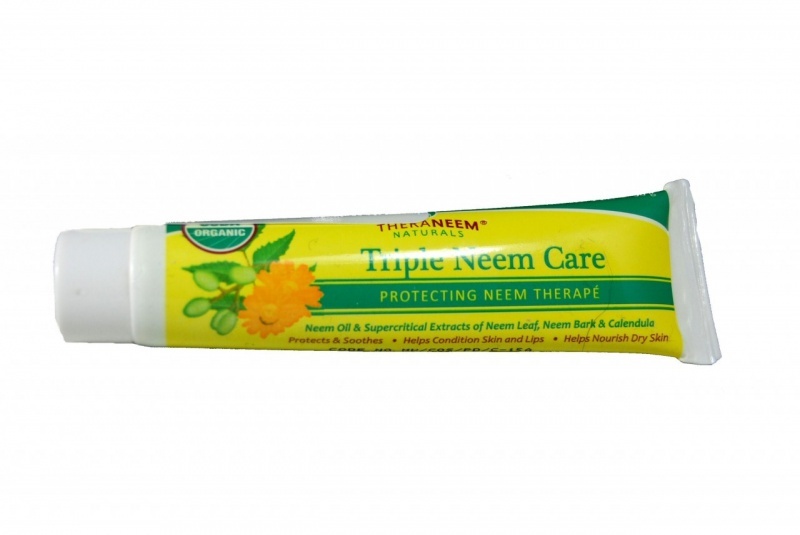 Triple neem ointment has not only stopped the itching, soothing the skin but has also helped my skin to heal. I have been using it for a month now and it has really helped. I am also taking the super critical neem capsules, which have definitely helped with clearing up my eczema. As with most ailments or skin conditions they should be tackled from within the body as well. I also use this ointment on my dogs, to sooth any dry or itchy patches of skin.